A game jam is an event where individuals participate in creating a game that follows set rules that specify time frame and theme. 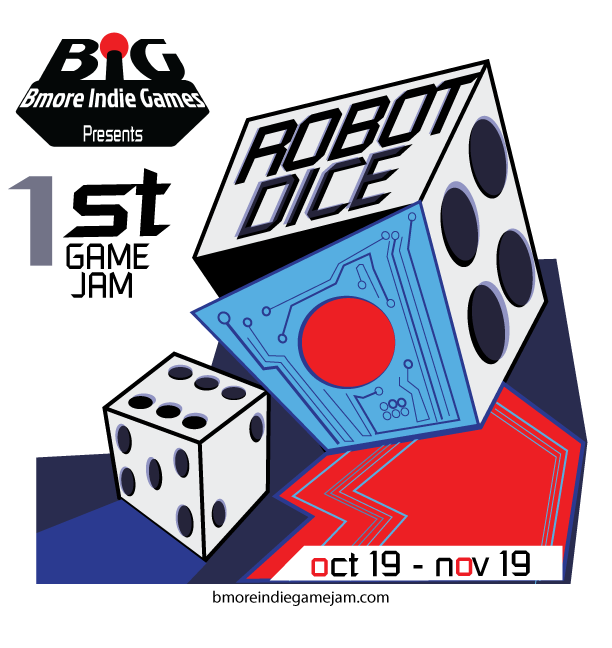 In the case of Baltimore Indie Games first jam, the theme for each team will be based off of a random word generator, enter the Robot Dice. The main goal of this game jam is to bond as a group and get to know each other as we build a community within Baltimore. The gamejam is now over! Join us on our Facebook Group and be part of our community!